Córdoba, Andalucía – The City of Amazing Architecture! As I never finished chronicling all the super-cool places I got to see during my study abroad trips, I’ve decided to post about them bit by bit. 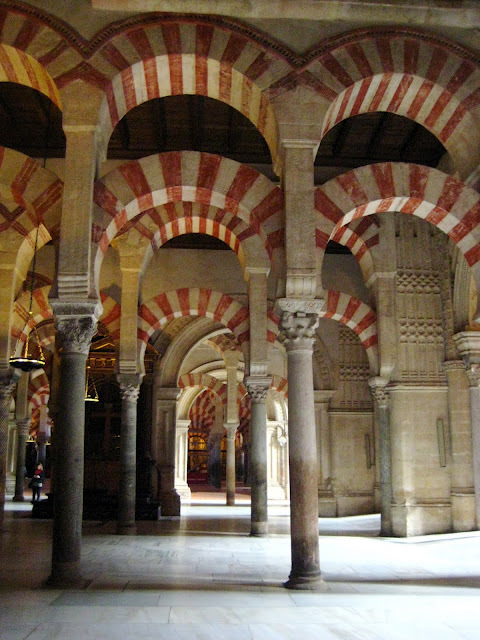 The first one is Córdoba, which is the name of both a town and a province in Andalucía, in the south of Spain. 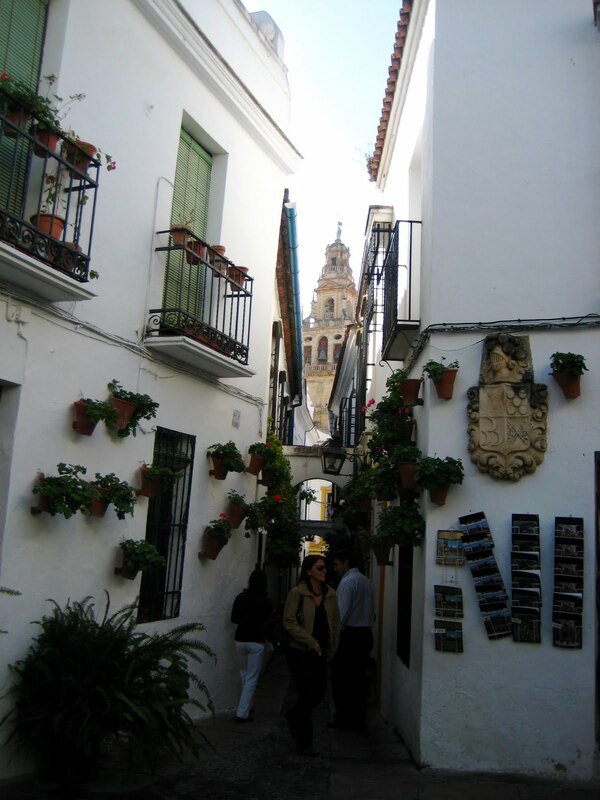 Córdoba was one of my favorite places I saw as it’s really beautiful and very Andalusian. Andalucía is home to many of the things people think of as ‘typically’ Spanish, like tapas and flamenco…but it also has this amazing cultural mix of Christian and Muslim influences. Check out the Plaza Mayor in Córdoba. 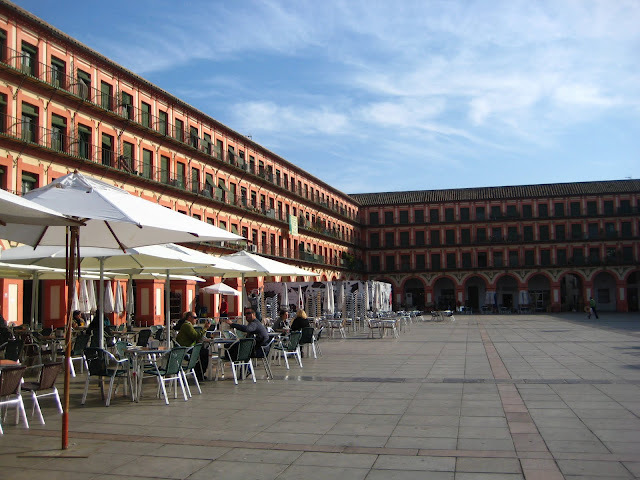 It’s got typical Spanish architecture and lots of cafés around the inside. There are tons of similar squares everywhere I’ve been in Spain, and the atmosphere at meal or coffee times is so relaxed and sociable. Even though they’re sometimes quite touristy, they’re such great places to chill out with some friends. This is Spain?? It looks nothing like what I imagined Spain looked like! 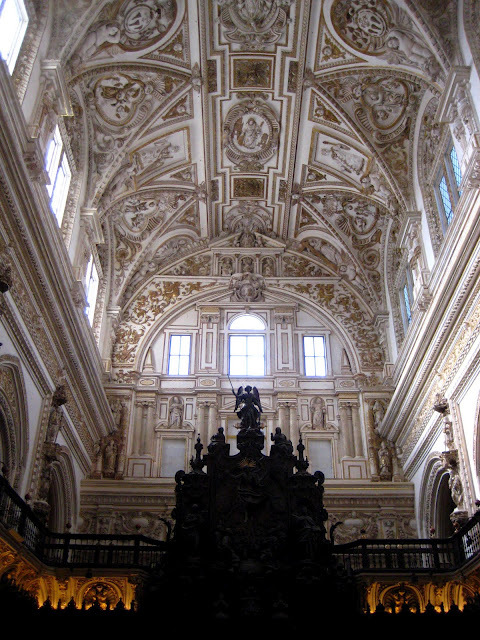 There are lots of things like this in southern Spain, as lots of mosques got taken over and modified into Catholic cathedrals (this is called the “Reconquista”). Check out the incredible ceiling below. 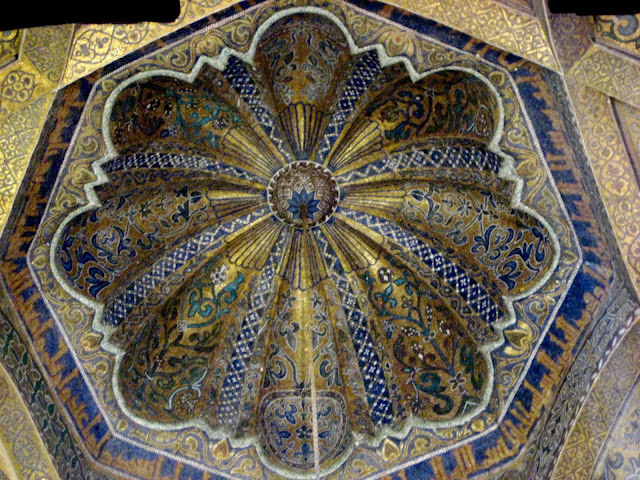 Both of these are from the Mezquita-Catedral in Córdoba. And if that wasn’t enough of a mix for you, there are actually still Roman ruins in Córdoba as well! This is something else I was totally unaware of. Actually, southern Spain is also home to quite a few of these things. I think most people learn in school that the Roman empire was really ridiculously ginormous, but I’m still always impressed to see parts of the empire that still exist. 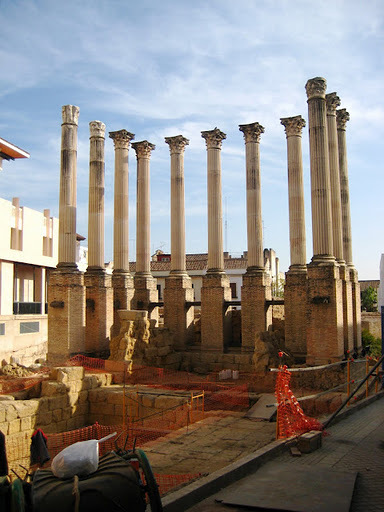 They seem almost commonplace in Spain sometimes – in Córdoba they were building the new city hall and “just came across” a Roman ruin! They put part of it behind glass to preserve it, but continued building anyway. They also uncovered these amazing pillars in the pic below. And in Barcelona there was some kind of Roman historical site that they built a new metro station on top of. I guess you just get used to it after a while! Anyway, that’s about all I’ve got to say about Córdoba! Even though I’m not an architecture enthusiast, Córdoba has truly amazing, mind-blowing architecture. I went by train – it’s about 40 minutes away from Sevilla. The high-speed train AVE also has a stop there, so it’s pretty easy to get to. If you’re in Spain, I’d definitely recommend a trip!